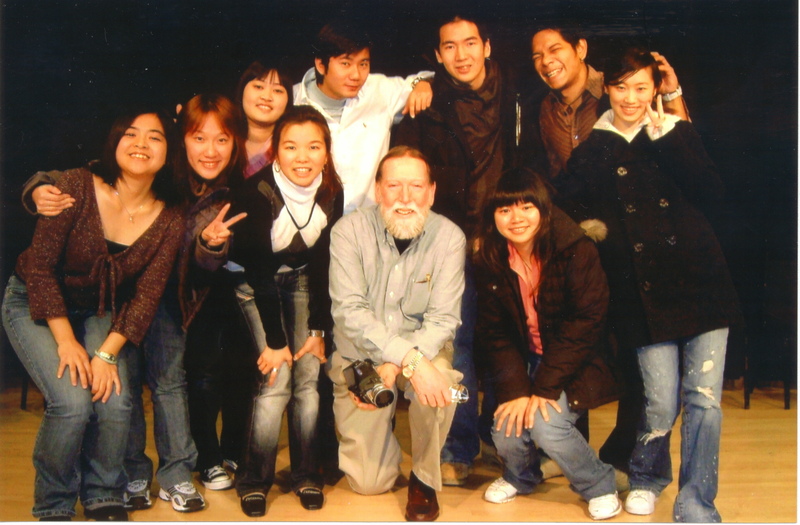 In the fall of 2004, the Culture Studies through Drama class at Southern New Hampshire University, made up of high intermediate English language students, worked on a production where they relived moments of particularly high tension in their experience of coming to America. Developing the various scenes from their own experience, we pieced the sketches together through narration and staged the scenes within a kind of format which I have called "rittual theatre" because the cast sits on stage in front of the audience and cast members simply get up to take part as their sketches come up. There is no attempt to create realistic staging. The situation is conveyed through narration, acting, costumes, and a few props. We used the class talent, opening with an appropriate saxophone rendition and then a choral introduction with a bit of movement. Coming to America - The Play: Intro and scenes one and two. "How do I get to Manchester?" Please go on to the next page to review some more improvised drama.